I’m sure I’ve said it before, but I’ll say it again: my family are difficult to feed. Each one has a different food that they dislike. Some won’t eat peppers, some won’t eat anything green, some won’t eat spices and others won’t eat mushrooms or tomatoes. My way of eating changed dramatically when I left home. 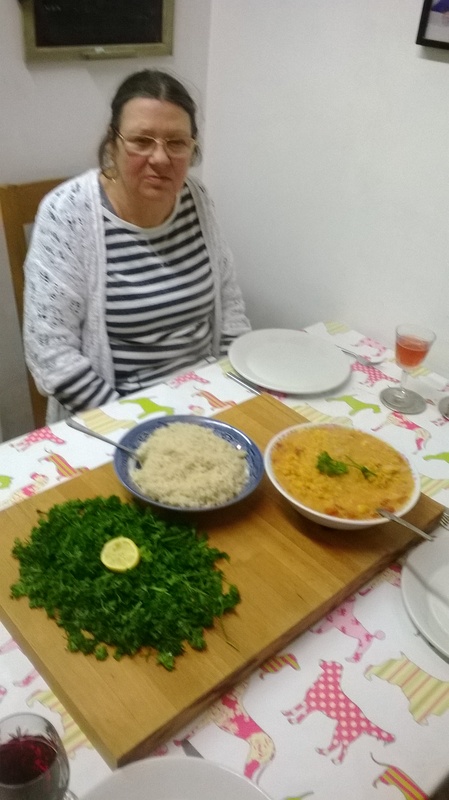 I started to experiment with world cuisine and ate foods I’d never have dreamed of eating before, which goes to show that a lot of people who are fussy eaters, me previously included, carry a lot of their dislike in their head rather than in their taste buds. 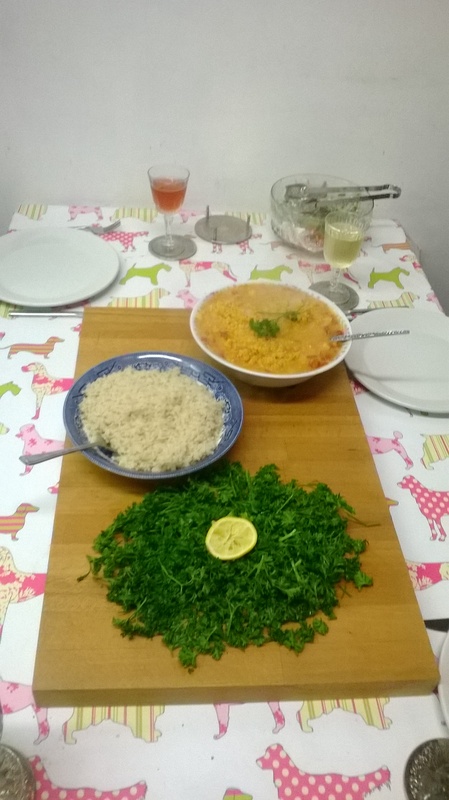 I am often tasked with cooking when I stay at my parents because I am adept at cooking large quantities of tasty food in a relatively short time. 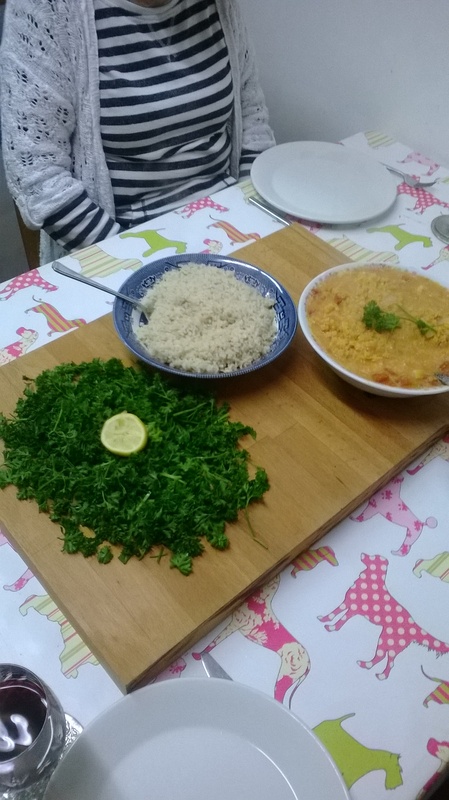 I decided to make this lentil stew and add various ingredients that I am constantly told won’t be eaten. Needless to say, it was all eaten. Do the rice first because it takes forever! Place rice in a pan of boiling water and allow to cook on a low heat for about 45 minutes. When rice is cooked, drain and mix with sesame seeds. In the 45 minutes it takes to cook, get on with the stew! Rinse the lentils under cold water and leave to drain. Heat the oil in a large saucepan. Add the onion and salt and cook until the onion is soft. Now add the garlic, ginger, cumin and cayenne and keep stirring. 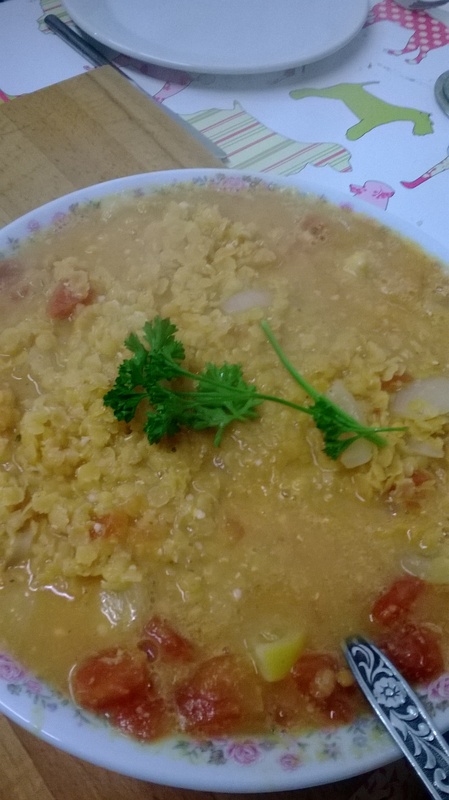 Add the vegetable stock, lentils, half of the lemon cut into slices and chopped tomatoes. Simmer on a low heat for about 30 minutes. 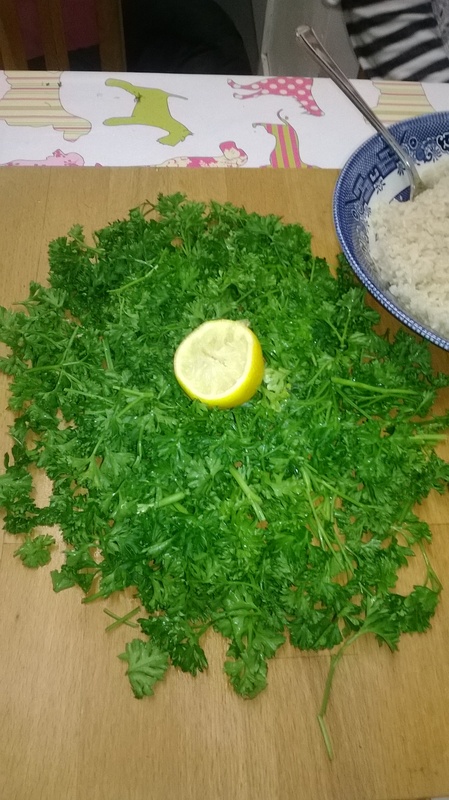 Finely chop your parsley and sprinkle with freshly squeezed lemon juice from the remaining half of the lemon. ← Super Secret Scrambled Tofu Recipe: The Best You’ll Ever Have!!! !